Are you locked out of your home with your keys inside? Just moved to your new home and looking to change the door locks and keys? Want to improve the security of your home by installing window locks and security doors? Don’t stress. Solid Lock Locksmith got you covered! We are one of the most trusted residential locksmiths in Melbourne, where the security of your home is our top priority. We have a team of highly experienced and qualified technicians who have vast expertise in providing residential locksmith services, offering customised and prompt services, anytime, anywhere. First, they will run a comprehensive security check on your home. Then, they will provide efficient solutions to a wide range of residential lock and key problems with their in-depth knowledge and cutting-edge technology. Have Residential Lock and Key Problems? Solid Lock Locksmith is Standing By! Whether you need emergency lockout service, quick replacement of lost or broken keys, or comprehensive evaluation on your home’s security system, Solid Lock Locksmith is the name you can trust. We understand that security of your home and family is your top priority and you won’t compromise it. Therefore, we work closely with you to develop a complete residential security plan that will ensure superior protection and safety of your home and loved ones. Our team of security experts will evaluate your home and design a comprehensive security system that fits into your budget and needs. In addition, we offer 24-hour service for any kind of residential lock and key problems, guaranteeing unmatched professionalism, fast turnaround, quality hardware, and affordable rates. Whatever be the problem is, call us immediately for professional and prompt residential locksmith services. Catering to the unique needs of our clients, we provide a wide array of locksmith services. Locked out of your home with the keys inside? Don’t panic. Wherever you are, we offer 24-hour emergency lockout services in Melbourne, with fast turnaround to get you back inside your home in no time. Have you just returned to your home late at night only to find out that you have lost the keys? Broken off the keys inside the door lock? Need emergency residential locksmith services? 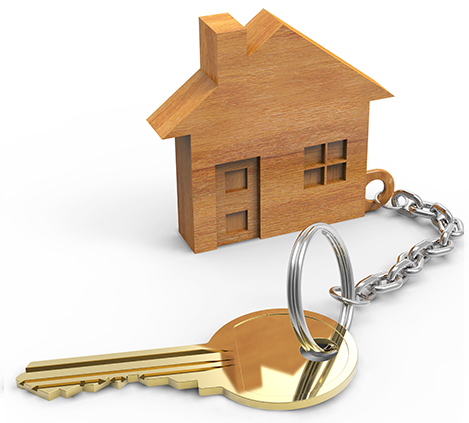 Trust Solid Lock Locksmith to replace your lost or broken keys as soon as possible. Providing cutting-edge security of your home is our top priority. We have a team of highly experienced security experts who will run a thorough check of your home, and design a robust security system that fits your needs and budget. We will also install a state-of-the-art residential security system and provide regular maintenance services to deliver the best value for your investment. We not only specialise as residential locksmiths in Melbourne, but also have the experience and knowledge in installing cutting-edge security surveillance systems in your home. These include CCTV cameras, wired and wireless fire and burglar alarms, and the latest security gadgets. Looking for enhanced protection and safety for your home and family? We are experts in installing excellent quality security doors and window locks that are burglar-proof. We will first evaluate your home’s security system thoroughly, and then provide customized solutions that include installing top-quality window locks and security doors to protect your home from any kind of criminal intrusion. At the same time, we also provide emergency locksmith services in case you are locked out of your home or the locks of your security doors and windows are damaged. Recent technological advancements in home security systems have encouraged more and more homeowners to rely on cutting-edge home security systems, such as keyless entry. This eliminates the hassle of lost or broken keys, and you also reduces your chance of being locked out of your home, unless you forget the entry code. We deal with sales, installation and service of keyless entry systems at affordable prices. For old and damaged locks, we provide professional residential locksmith services for changing or repairing the locks as soon as possible. If you are looking to install an excellent electronic safe in your home, we can help in sales, installation, and servicing, ensuring complete peace of mind. At Solid Lock Locksmith, we are expert in handling all kinds of exterior and interior door locks, dead locks, and damaged bolts with prompt and reliable services. Solid Lock Locksmith is one of the leading residential locksmiths in Melbourne. Our aim is to help you to have an effective security system for your home to ensure maximum safety for your family and property. For emergencies or inquiries, call us at 0401073756.